When Greg Plitt takes off his t-shirt, it's time for heavy weights, hard training, and growing muscles. In this video the fitness expert and top model promotes his advanced abdominal training. This 35 minute advanced abs workout is to take your core to the next level. This workout is just one of 22 workouts available on his website http://www.gregplitt.com/ where Greg takes you through each exercise and explains how to do it. 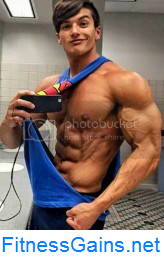 He is a bodybuilder with so many qualities. Ripped, smart, ironic - and creative: Jeffrey Beck has re-launched his website www.jbeckfitness.com, and he did the design work himself. The result is impressive: gallery, workout video downloads, blog, training information, store, opportunity to contact Jeffrey, and much more. Check out Jeffrey Beck's new website: www.jbeckfitness.com. You find all these top models and their high quality photos and videos on AllAmericanGuys. 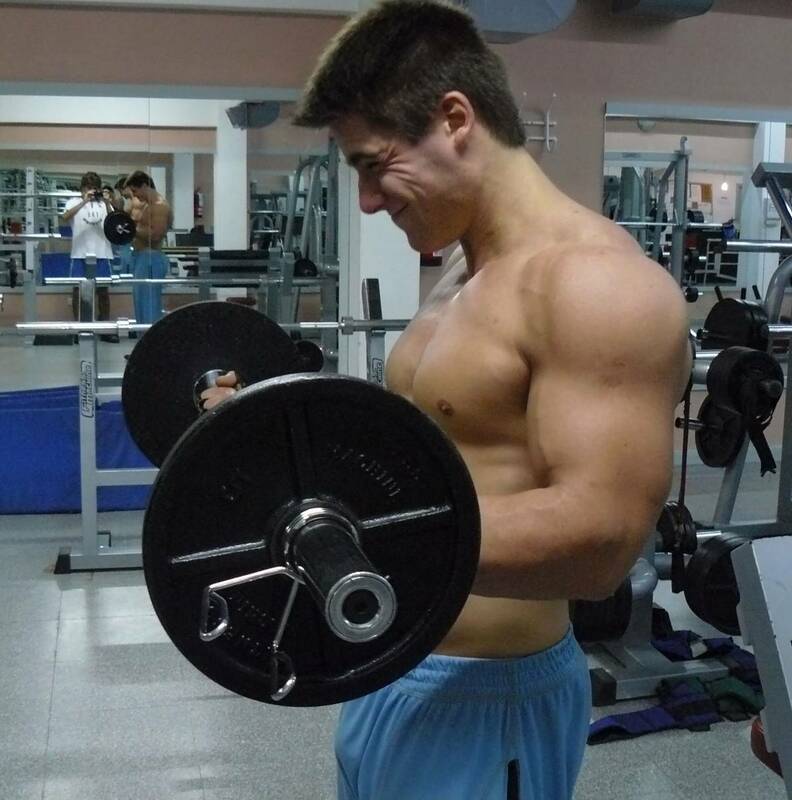 Strong and aspiring: Fede Gonzalez is a 20-year-old natural bodybuilder from Buenos Aires, Argentina. 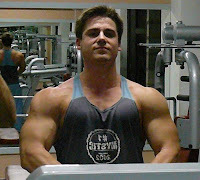 In his Modelmayhem.com profile he writes: "I dedicate my whole time to improve my physique. I want to get bigger and take part in international bodybuilding competitions. And I would like to work as a fitness model." This video shows his progress and transformation in 2010, his success at the I.F.B.B. 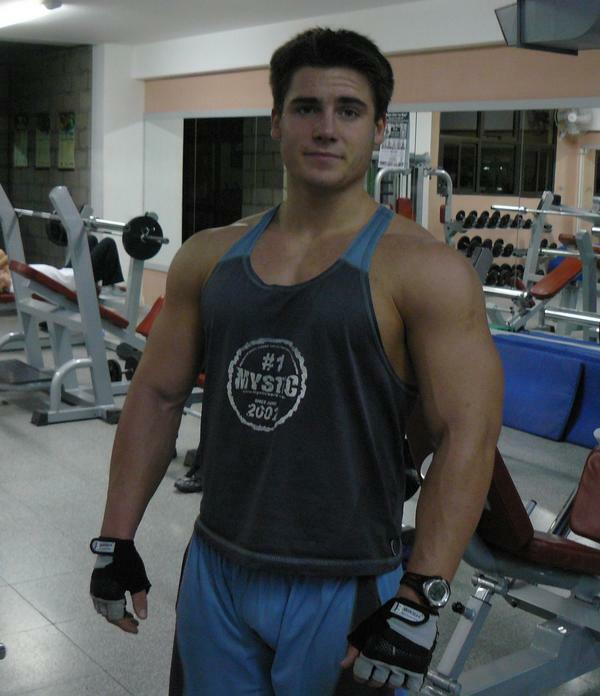 South American Contest, where he placed second in the junior division, and his posing routine. He knows how to get big triceps and massive arms. In this video 20-year-old bodybuilder Zac Compton takes 190 pounds plus his bodyweight for some repetitions on dips. "Arms popping out of my shirt sleeves: Biceps and triceps are the first muscle group I wanted to develop", Rob Riches tells. The bodybuilder and fitness trainer shares his profound knowledge, gives many tips, and shows how to do the exercises correctly in these two videos. A top athlete, a top model, a top actor: Bodybuilder Greg Plitt has appeared on over 100 fitness magazine covers in the last four years and is undisputedly one of America's top male fitness models. He has done many commercials and television shows, and hit the big screen in ‘The Good Shepard’ with Robert DeNiro, ‘Terminator Salvation,’ ‘The Watchmen'. Before his modeling and acting career, Greg Plitt was a U.S. Army Ranger, a graduate of West Point Military Academy, former Army Captain and company commander of 184 soldiers, a two-time All American wrestler and a PRO rated skydiver with over 1500 jumps to date. Instructional workout videos (23 videos): Greg takes you through his own personal workout routines, explaining exactly how to do each exercise, how many sets and reps, and shares his work out secrets. Video blog (30 in depth video answers): Greg answers members questions on fitness, diet, cardio and more in-depth video posts that go into detail about every topic members ask about. Learn how Greg prepares for a photo shoot, his training splits, how to get in shape for summer, and much more. The members section is updated weekly. Strong shoulders need more than just one exercise. In this video bodybuilder and fitness model Rob Riches trains all relevant muscle groups and explains how to do them correctly.